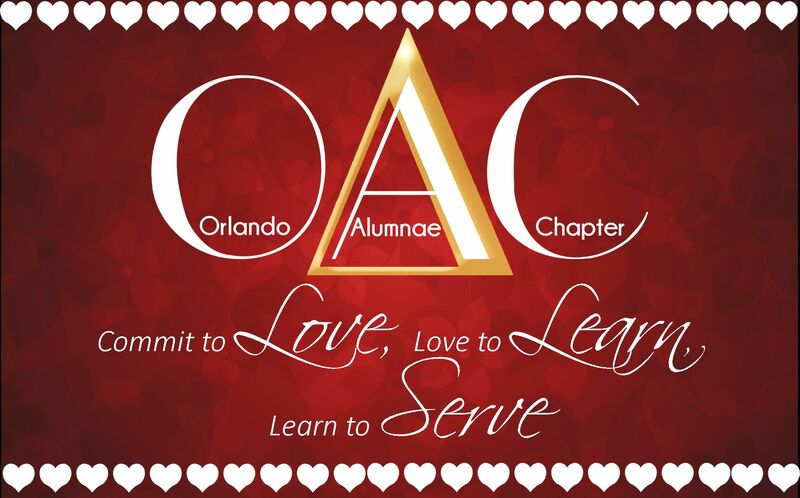 The Orlando Alumnae Chapter (OAC) warmly welcomes all visiting members of Delta Sigma Theta Sorority, Inc. Meetings are held monthly on the third Saturdays at 10:00 A.M., at the Orlando Housing Authority located at 310 North Hillside Avenue, Orlando, FL 32803 just outside of downtown Orlando. Chapter members and visiting Deltas are required to wear appropriate business attire, unless otherwise indicated in the regular meeting reminders. Please feel free to bring bottled water to the meetings. Meetings of the Orlando Alumnae Chapter are ONLY open to the duly initiated members of Delta Sigma Theta Sorority, Incorporated. Consequently, proof of membership is required and must be verified before admittance to chapter meetings is granted. For security purposes, each visitor must provide a photo identification and the official membership card of Delta Sigma Theta Sorority, Inc. The financial secretary will be available 30 minutes prior to the start of the meetings for any Delta who seeks to join OAC. She can provide important fiscal information specific to this local chapter and the overall National organization. Responses to additional questions and concerns may be directed to membership services. The officers and members of the premier Delta chapter in Orlando, Florida eagerly anticipate your visits. Embrace change with the members of OAC. Please use the link below to obtain driving directions, just enter your starting address. If you desire to attend our meetings, but have misplaced your membership card and are unable to verify your membership by other means, complete the Membership Verification Form prior to attending the meeting and submit it to Delta Sigma Theta National Headquarters Staff for verification. Once its verified, they will forward the form back to us. Individuals seeking membership in Delta Sigma Theta Sorority, Inc. will NOT be admitted in to the chapter meeting. For more information regarding membership, please visit our National Website at http://www.deltasigmatheta.org.